Business analytics software company, Tableau Software, has named its top partners for 2015. The company handed out awards at its recent Asia-Pacific Partner Summit, where MIP Australia was named A/NZ Reseller of the Year 2015. MIP Australia was handed the accolade of A/NZ Reseller of the Year 2015 for the second year running. 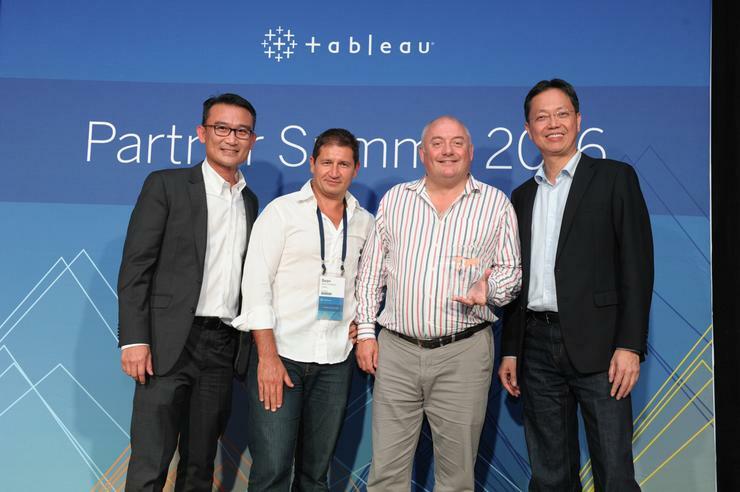 “Being recognised as Tableau’s A/NZ Reseller of the Year for a second consecutive year is a great honour. Our mission is to unlock a data culture within all of our customers, and by partnering with Tableau we are able to provide an innovative data visualistation product to the Australian market,” MIP Australia group managing director, Steve Hitchman, said. Tableau A/NZ country manager, Nigel Mendonca, said as enterprises and government agencies in Australia step up investments in technology, partners will be even more instrumental in galvanising whole industries to Tableau’s mission of helping people to see and understand data. Mendonca added that Tableau partners play important roles in transforming how customers interact with their data, from advancing healthcare innovation and institutional research to driving greater insights into competitive analyses and business processes. “In order for our partners to succeed they need to know Tableau inside out and this is a fantastic opportunity for partners to immerse themselves in the Tableau culture. “Across Asia-Pacific, companies of all sizes from different industries are leveraging Tableau not just to analyse their data. They are using Tableau to better understand their customers, markets or operations, and ultimately transform the way they work,” he added.